We’re only four months into 2019, but the battle for Android dominance is already well underway — Samsung released their S10 lineup in early March, and just last week Huawei introduced the P30 series as well. And seemingly out of nowhere, Xiaomi has now entered the mobile arena with their latest flagship phone. Dubbed the Mi 9, it offers a whole lot of phone at a very, very attractive price. 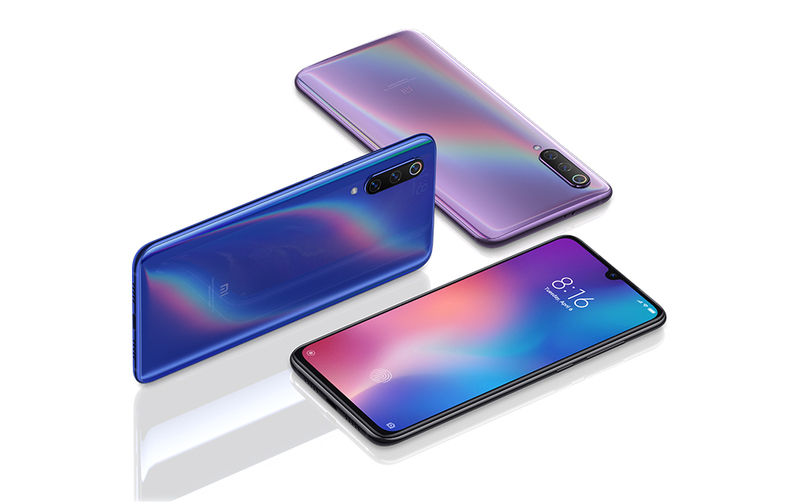 Looking at its specs, the Mi 9 has everything you’d expect from a 2019 flagship — the phone sports a 6.39-inch curved AMOLED screen with an in-built fingerprint sensor, and an inconspicuous teardrop notch makes for an almost bezel-less display. On the inside the phone is equipped with the 7-nanometer Snapdragon 855 processor (the same chip found in the US version of the S10) which boasts a 45% performance boost over last year’s Snapdragon 845. A 3,300 mAh battery — while admittedly not the best by today’s standards — should also be enough for the average user. The Mi 9 also marks Xiaomi’s entry into triple camera territory. 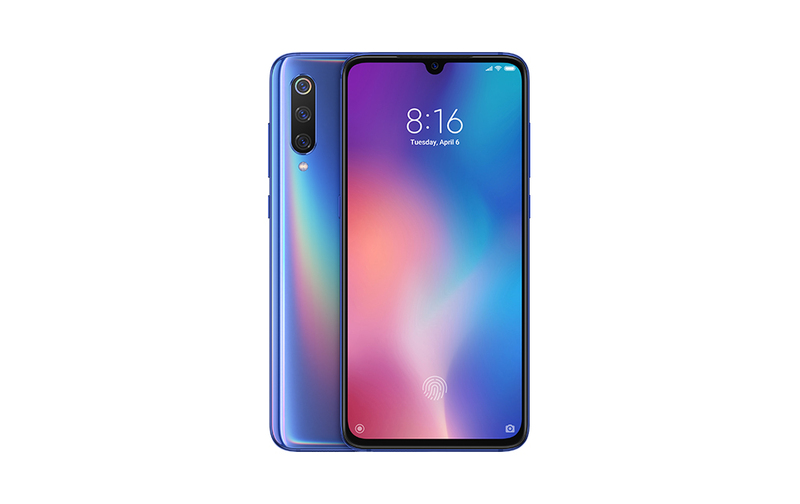 The rear features a 48 megapixel wide, 16 megapixel ultra-wide and 12 megapixel telephoto lens, while the front rocks a single 20 megapixel camera with AI selfies and scene detection. The move to a triple camera system seems to have paid off — Independent image authority DxOMark the gave the Mi 9 a score of 107 (bested only by the S10 Plus, Mate 20 Pro, P20 Pro and P30 Pro) but what’s more interesting is that the phone currently sits at number one in video performance. 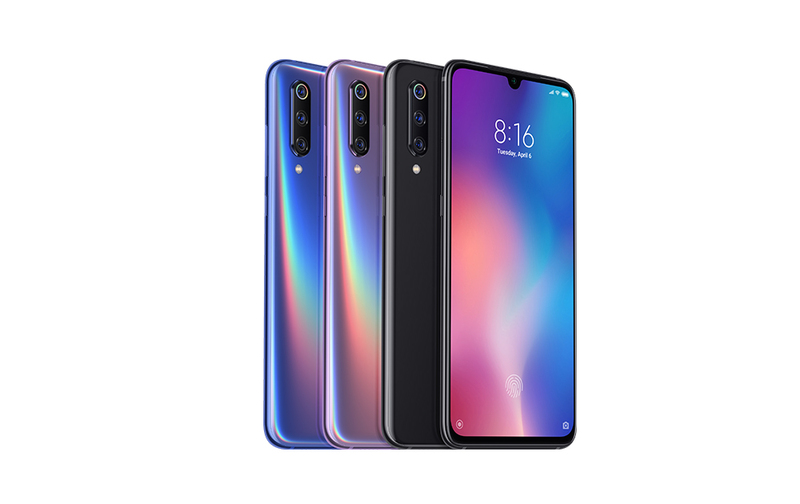 The Mi 9 will be available in Piano Black and Ocean Blue at launch, with Lavender Violet coming in at a later date. 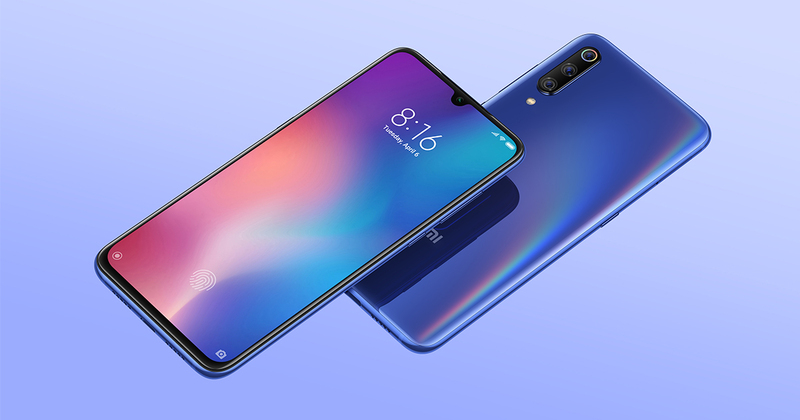 You might think that a phone of this calibre would come with a premium price tag, but in true Xiaomi fashion the Mi 9 looks poised to be one of — if not the — most affordable flagships on the market. The base 64GB version, for example, starts at an unbelievable S$579 – less than half the price of the competition — while the 128GB model comes in a very reasonable S$699 as well. Considering that the phone comes with comparable specs (on paper, at least), this might be a breakthrough for the budget-conscious consumer. The 64GB will be available exclusively on Lazada from 13th April onwards, while the 128GB version can be found at Singtel and Mi Stores on the same day. To sweeten the deal, the first 300 customers who buy from the latter will also receive Mi wireless charging pad and power adapter for free. The Mi 9 is off to a promising start, but we’ll have to try the phone for ourselves to see if the phone really delivers. As far as first impressions go, however, we’re definitely intrigued.